Ten year old Samuel’s father disappeared years ago, and now his mother has passed away. With no one to care for him and no place to call home his aunt vies to adopt him for all the wrong reasons. Samuel’s prayers are answered though when his mother’s will puts an end to that notion. Now he’s living with his Grandfather. Still grieving, and experiencing feelings of abandonment and insecurity, he dreams his father will someday return for him. 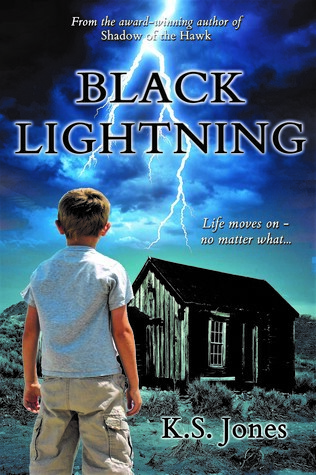 His Grandpa Tate’s interaction with the Apache natives leads him to learn of the legend of black lightning. Samuel and his friend make a grand discovery and together they rebel against the rules and face possible death in the Last Land. A talisman given to him by his father becomes a critical element for his survival. Fantasy combines with tribal lore to offer an exciting spin on an entirely compelling story which will entice young readers. Author K.S. Jones weaves an enchanting tale of lore and legend combined with a sci-fi element that will enthrall young audiences. With well-developed characters and a magical component, Samuel’s journey is one that will not soon be forgotten by youngsters who enjoy reading fantasy or science fiction books. Recommended for home and school libraries, Black Lighting has earned the Literary Classics Seal of Approval. Thank you, Literary Classics! 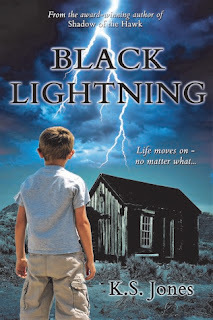 I am proud and honored to have received your Seal of Approval for my book "Black Lightning." Your commitment to children's literature is amazing!